It’s a common Caribbean dream: having your own private island. Well, in the Bahamian archipelago, it’s not just a dream. 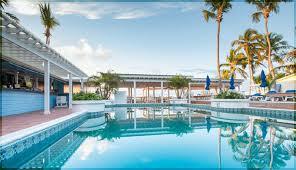 Bonefish Cay is located in the so-called Middle Bight of Andros island in the Bahamas. The 216,360-square-foot island, which even has two active wells, is all about complete privacy, with three small beaches, easy speed boat access and even an old stone dock. Because of shallow water depths around the island, it’s terrific for bonefishing. The island is being listed by Damianos Sotheby’s International Realty for $599,000. Sotheby’s calls it a “one-of-a-kind island,” and it’s hard to argue. Why not take a permanent holiday in the Bahamas?